MUMBAI/LUCKNOW/BHOPAL: An Indian man who was stuck in South Eastern Africa for months and was facing torture, has finally returned home due to the campaign of a Bhopal-based activist. 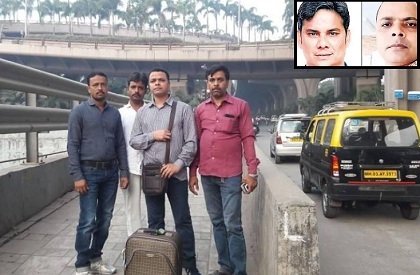 Syed Abid Hussain, who has run campaigns for ensuring return of stranded Indians and had got Jitendra Arjunwar released from Pakistan jail successfully, had taken up this case as well. Hussain says that after he got to know about the plight of Syed Babbar Ali, who was struck in Mozambique, he decided to start the campaign to press for his return to the country. Ali had gone to Mozambique to earn a living and was promised a hefty salary but once he reached there, he was not paid even a single penny. Besides, he was made to work for 18 hrs a day and was also tortured. Somehow he managed to shoot a video and sent it to his brother who complained to the agency through which recruitment was made. However, the family claims that there was no help and money was demanded for the safe return. The family members then got to know about Syed Abid Hussain who has run such campaigns. Hussain started the Twitter campaign, requesting External Affairs Minister and top officials. The Embassy took action, subsequently. A team reached the place and managed to bring back Ali. This was also assured that the salary dues would be paid. Ali arrived in India on November 20. He came by flight to Mumbai and is now heading to his home in Uttar Pradesh. His kin have thanked the government, activist and the MEA officials.Meanwhile, the social activist Syed Abid Hussain--also termed real life Bajrangi Bhaijaan, due to his role in reuniting people with families, says that he would continue to run campaigns and help people who are stuck in other countries.